One of the beautiful spots in Spain, Plaça De Les Cascades which is located in Barcelona is a perfect place to enjoy peace and calmness. A very well-maintained park, this was established in 1992 for the Olympic games. The surrounding is very pretty if you want to take a walk around for simply relax and adore the sculptures and the greens. 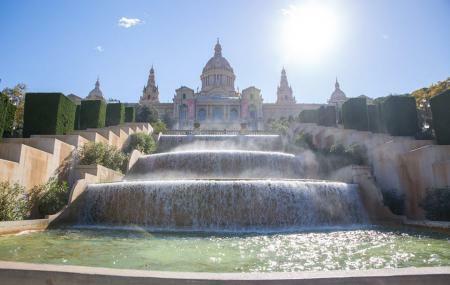 Open daily for families, children, groups, friends, it also has a spectacular fountain situated in the middle of the park and other amenities such as playing area for children. Plaça De Les Cascades is also surrounded by a small beach which is at a walking distance. How popular is Placa De Les Cascades? People normally club together Castell De Montjuïc and Pabellón Mies Van Der Rohe while planning their visit to Placa De Les Cascades.